Tinhorn Creek Vineyards is offering free shipping as well as 10% off the purchase of cases of wine this Canada Day. This special one day only offer is extended to wine lovers anywhere in Canada to celebrate the recent passage of Bill C-311 which lifts restrictions on inter-provincial purchasing and shipping and is timely to coincide with the winery’s latest vintage releases. Although the government of British Columbia relaxed liquor restrictions earlier this month to allow BC residents to avoid additional duties when bringing back wine, beer and other alcohol from other provinces for personal use, wineries wishing to sell directly to out of province consumers were still left in the cold. Archaic prohibition-era laws made it near impossible for vintners producing smaller lots of wine to participate in the trade of wine across provincial lines stifling the growth of the wine industry in Canada until the Federal private members Bill C-311 was passed on June 18th, 2012. Sandra Oldfield, Winemaker and CEO of BC’s leading Tinhorn Creek Vineyards has long been vocal in advocating change. “The restrictions on inter-provincial wine trade have prevented tourists and wine lovers from legally taking home a few bottles from their favourite vineyards,” she states. "The unanimous passage in both the House of Commons and the Senate of Bill C-311 will usher in a new era for Canadian wine culture. I can't be more pleased to see all of our hard work in the vineyard and cellar being available to all Canadians." July 1st marks the release of Tinhorn Creek’s highly anticipated Oldfield Series Pinot Noir, 2008. From 100% estate-grown grapes, the wine spent a year in French Oak barrels, on top of aging three years in the bottle and is only available directly from the winery. With a limited production of 250 cases it will not be available for long. Also being released on July 1st is 2009 Varietal Series Pinot Noir, the 2011 Varietal Series Chardonnay and the 16th vintage of The Oldfield Series Kerner Icewine, 2011. The 2011 Oldfield Series 2Bench Rosé is the ultimate summer sipper, perfect for a picnic, barbecue or any patio party. Tinhorn Creek Vineyards is offering free shipping across Canada on July 1st as well as 10% off the price of each case of wine ordered (Crush Club members will receive 15% off each case). Available for purchase of full cases of wine only on July 1st, 2012 from 12am PST to 12am PST July 2nd. Click here to purchase and enter the promo code CanadaFree. 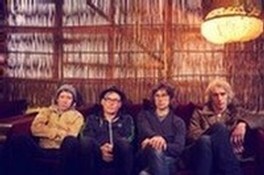 Win a trip to see SLOAN! Enter to win a trip for 2 to see Sloan live at Tinhorn Creek on Saturday, September 8, 2012. Our Sloan contest is now closed. Click here to purchase tickets.